"What a lovely, peaceful, welcoming site with superb facilities. 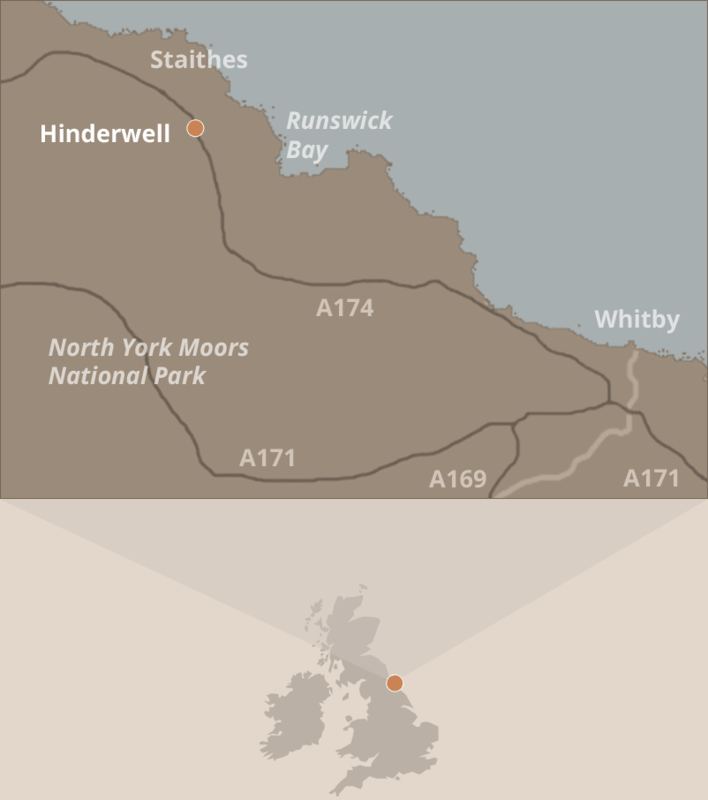 So glad we discovered this little gem"
Serenity Camping is located 1 mile from the beautiful sandy beach at Runswick Bay, 1 mile from the picture postcard fishing village of Staithes and 7 miles from Whitby itself on a main bus route. The site also has a convenient village location with a family run butcher, two pubs, fish & chip shop and a lovely bistro and coffee shop all just on the doorstep. The site provides a peaceful, friendly and relaxed camping experience – a perfect base to explore the surrounding area, or just to relax and take in the beautiful views. Tents and tourers are all welcome. The pitches are spacious and largely on grass though there are also 4 fully serviced hard standing pitches. Visitors can expect clean well maintained facilities, a brand new family & disabled washroom, hair drying station, Wi-Fi & information cabin, phone charging points, campers kitchen with kettle, fridge, microwave, washing up sinks and laundry facilities, a wildlife pond and free range hens and ducks. With miles of wonderful walks direct from the gate the site is dog friendly and pets are very welcome.